If you truly appreciate fine menswear and dressing to impress on a more refined side, you just the type of man to wear Tulliano silk knitwear. Tulliano makes their knitwear for the man who has already gotten to where they want to go in life and feature fine silk knit sweaters and shirts that just look great. 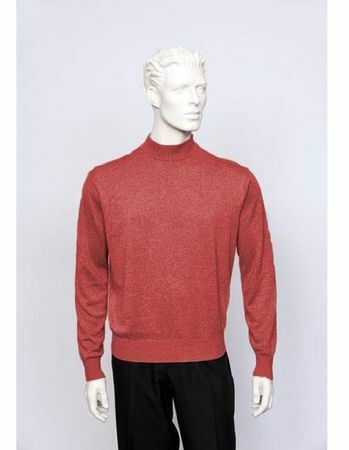 This coral color mock neck features the fine silk blend knit that has made Tulliano a popular brand among well dressed men.